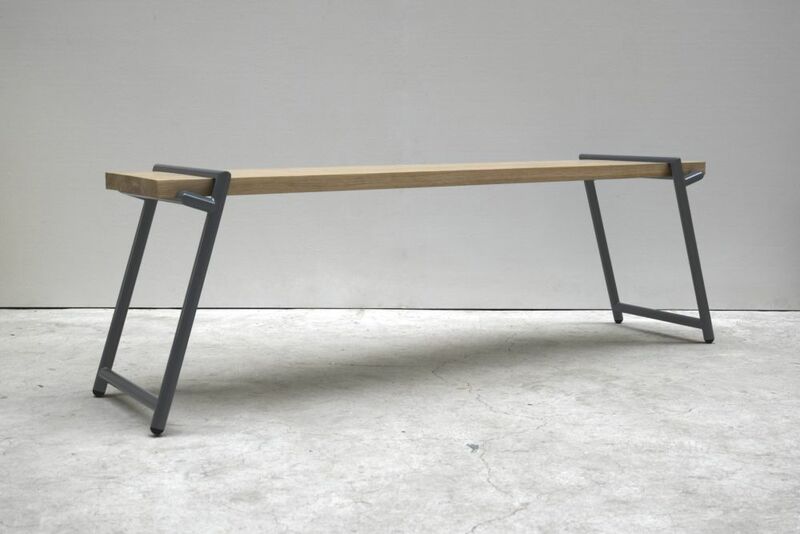 A contemporary oak and steel bench crafted by hand in Great Britain. Part of the 'Atlas Series', the inspiration for the Atlas Bench stems from an appreciation for industrial fixtures and fittings in our everyday surroundings. Strength is provided by high quality materials with a solid wood oak top providing a high quality, durable surface supported by handmade steel tube framework. The bench can be constructed and taken apart in a matter of seconds. The three components of the bench allow the metal legs to 'pop' into place and also enable the bench to be flat-packed and stored away easily. Made using FSC Certified Oak, with a natural Tung oil finish, and Steel. Made by hand in Sheffield.